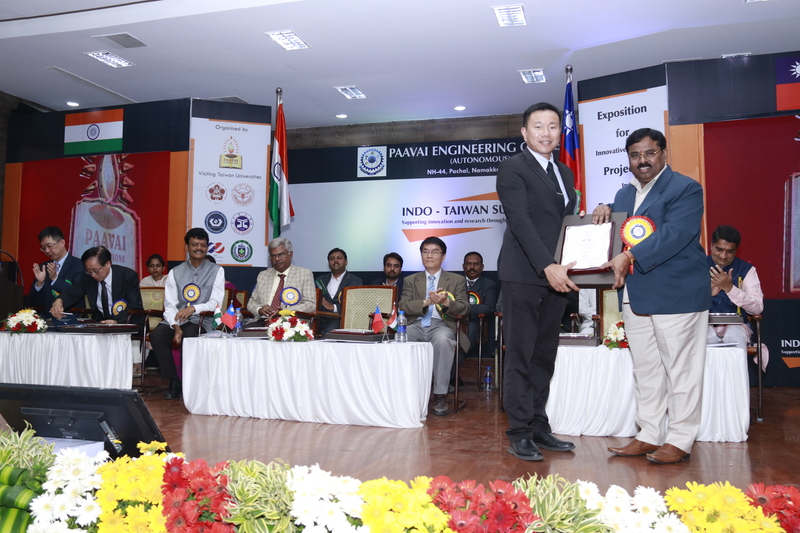 Paavai Engineering College (Autonomous), Namakkal hosted a two-day International convention titled, “Indo-Taiwan Summit” supporting Innovation and Research through Collaboration on 25th and 26th of Feb, 2019. 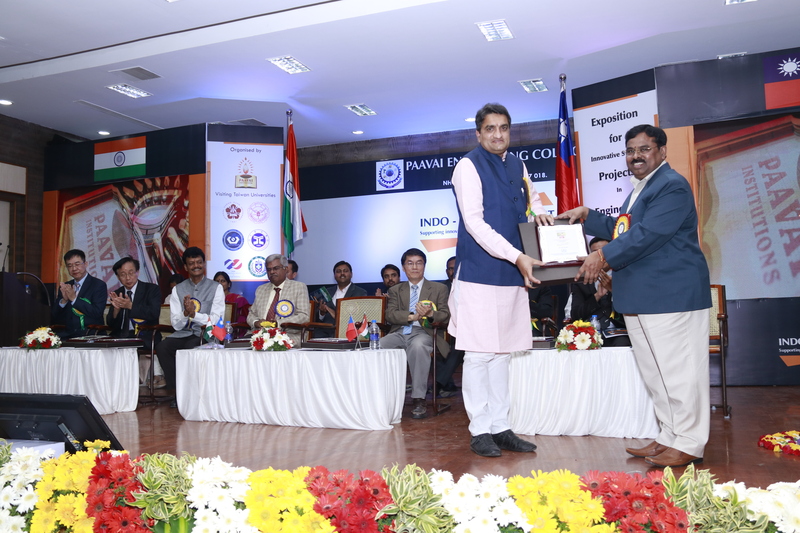 The inaugural ceremony of the summit was held on 25th Feb,2019 at Anandha Arangam. Thiru. C.A. 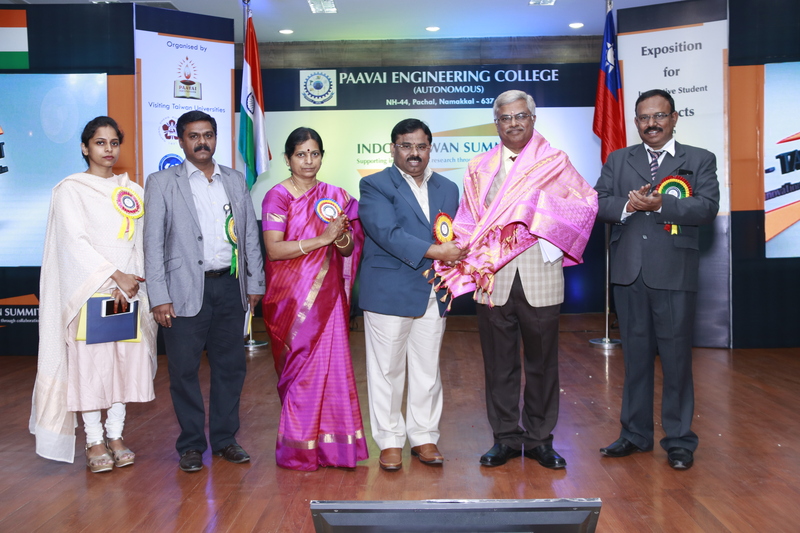 N. V. Natarajan, the Chairman of Paavai institutions delivered the Presidential address. 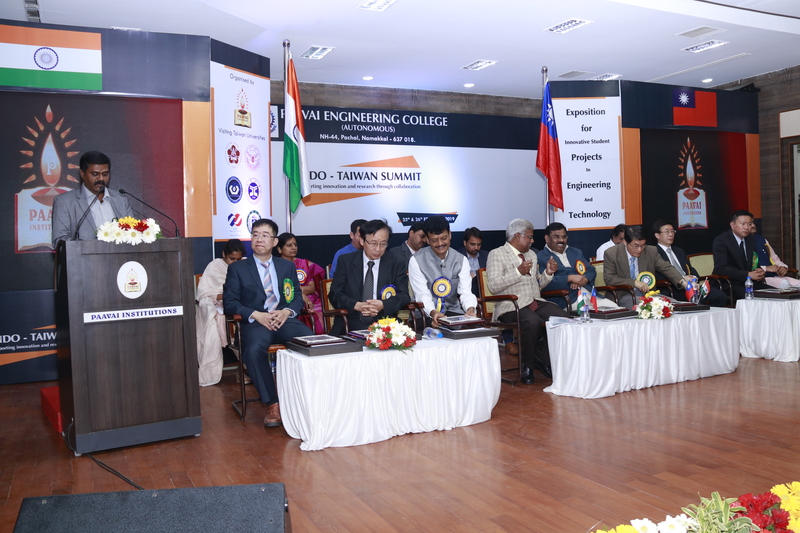 He greeted the professors from Taiwan, Japan and India and appreciated the clean, calm and the congenial learning atmosphere of Taiwan universities with their state of the art infrastructure, professorship and a affordable cost of offering Higher Education. 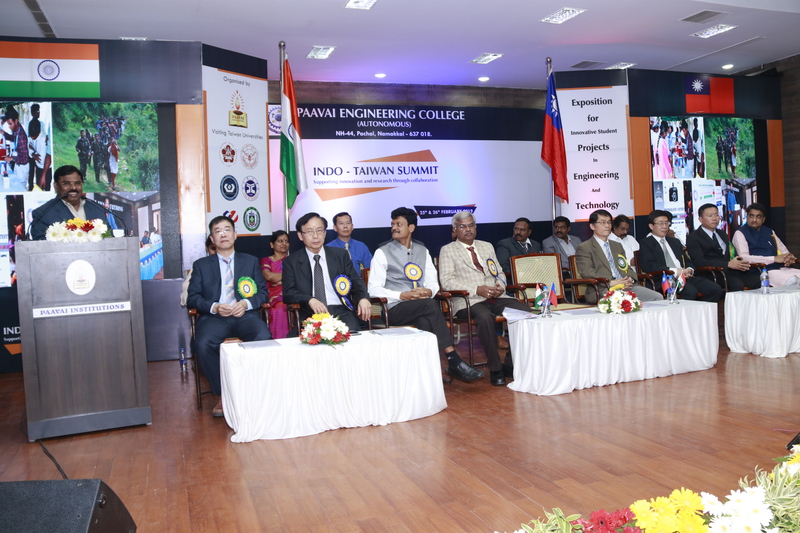 He continued that it is the dream of many an Indian student to do Master’s programme abroad and Taiwan being one of the top 250 universities caters to the educational needs of the learners. 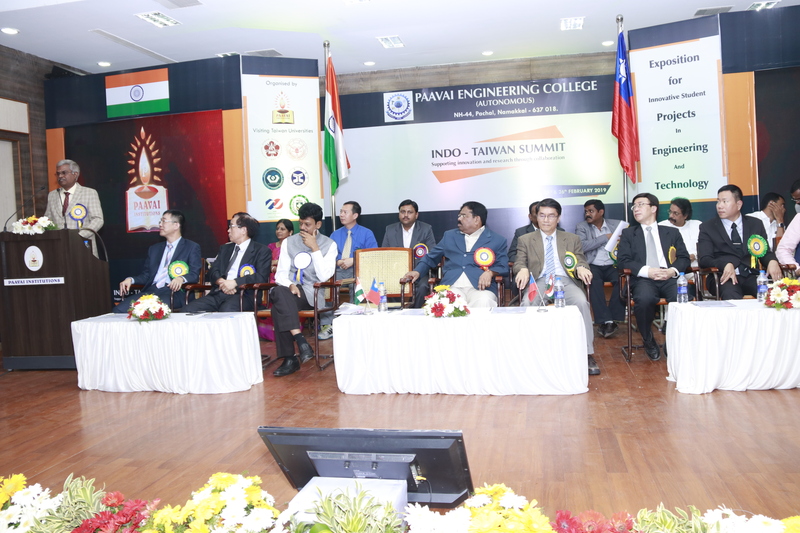 The education pattern of Taiwan is unique in the sense that more focus is given to practical application, demonstration and modeling which make the procedure of learning easy and product oriented. 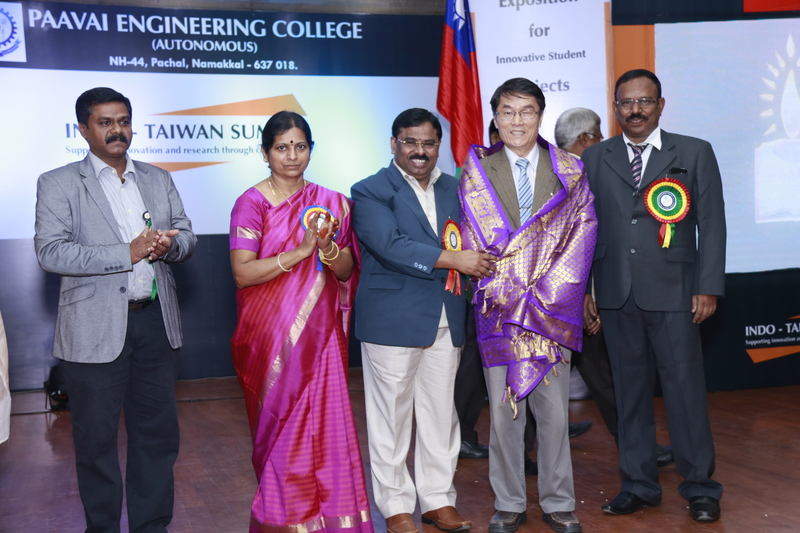 Another interesting feature about Taiwan Universities is that the eminent professors always extend a favorable opportunity to all those who are research inclined for technological transfer of knowledge and cultural exchange. 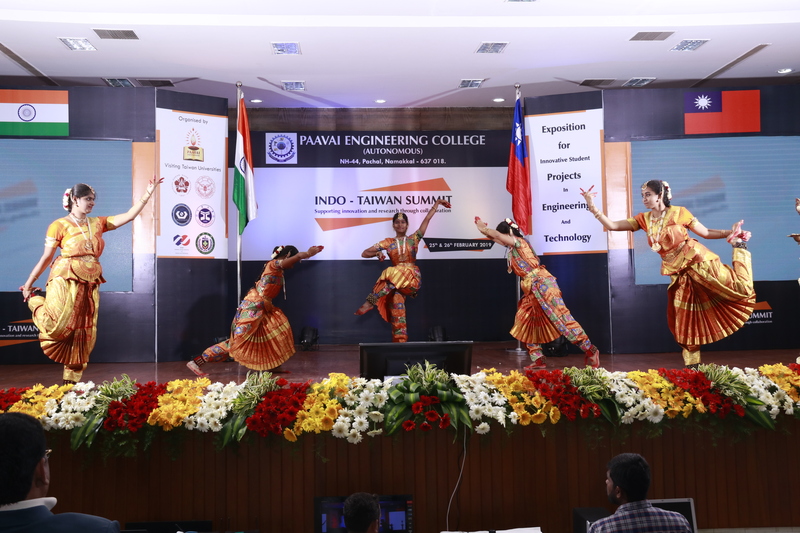 The Indian students are analytically strong and the Taiwan students are technically competent and if each one is given a provision for doing internship through Student Exchange Programme, they are sure to excel. 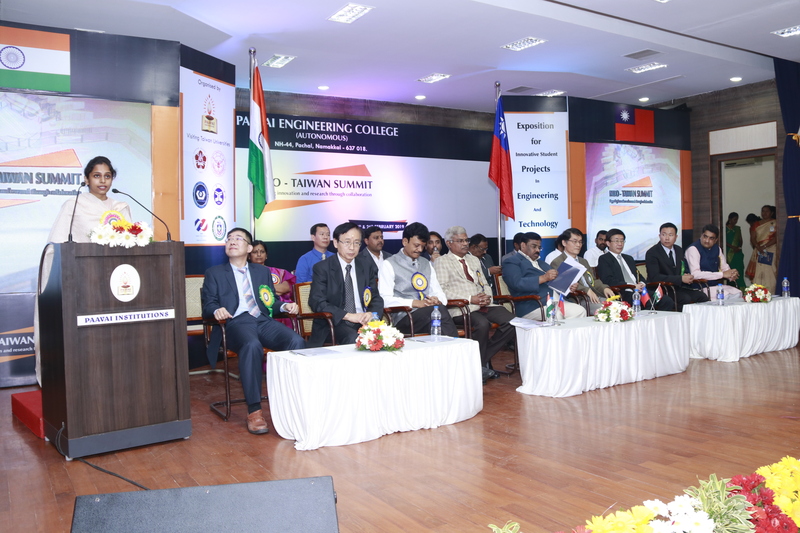 Following the Chairman’s speech, Dr.U.Chandrasekar, the Visiting Professor, at the Rapid Manufacturing Lab, Dept of Mechanical Engineering, IIT, Bombay gave a prelude to the summit. 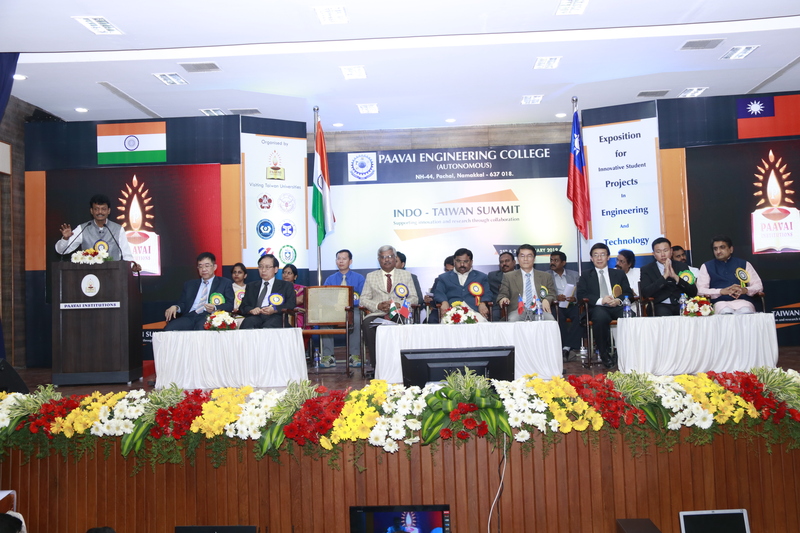 He pointed out that the focus of the summit is to facilitate the students to do internship and Master’s Programme in Taiwan or Japan. He too glorified the educational method of learning by doing which is prevailing at Taiwan universities. Higher Education nurtures insight, maturity and entrepreneurial skills. So the students are advised to make use of this God sent opportunity to do higher education with tuition fee waiver and scholarship. Besides, every internee will also get his professional life shaped in terms of knowledge, skill, behavior and attributes. 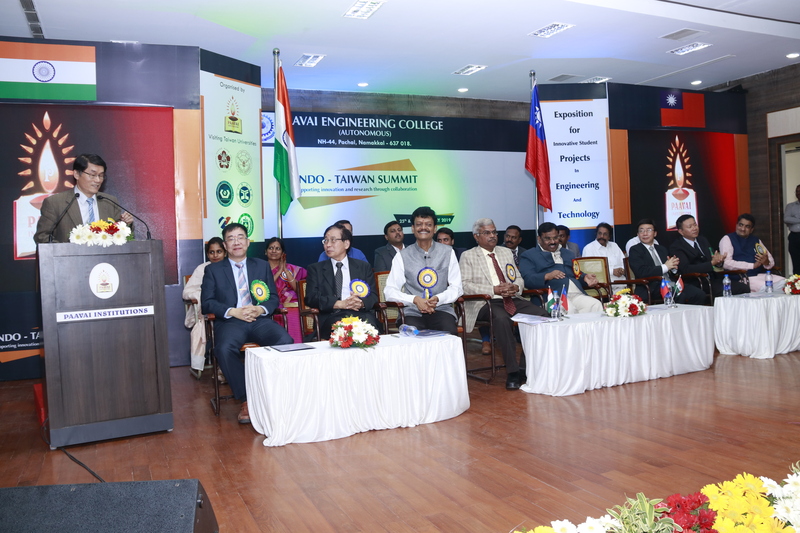 He stated that as per the fond wish of the Chairman, the summit should become a catalyst for every one of the attendees.Dr.N.S.Kumar, scientist ‘G’, Associate Director, DEBEL, DRDO, Ministry of Defense, Bangalore, India, gave the inaugural address citing a lot of statistical data in the area of Research and Development both at the Government and Private Sectors. He said 0.69% of the total GDP of India is spent on Research and Development activity. There are three research indicators. According to him, one is publications, the other is patent rights and the last is product development which is the real challenge to every researcher. India stands as the 6th largest country in journal publication and the 7th largest country in patent rights but it has to go a long way in the development of marketable products. It is found that 50% of the budget is earmarked for importing goods and services and research has to be carried out to circumvent this practice. Job opportunities are abundant in the Ministry of Defense Sector and those who are resourceful can make use of the same. He also quoted from a research article that humanity will face a lot of problems in 2050 in the crucial areas of energy sustenance. 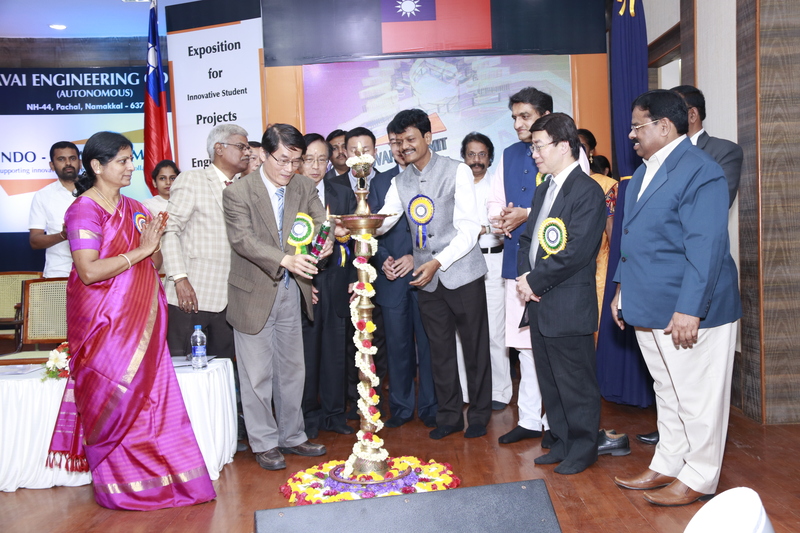 He congratulated that the summit has taken initiatives to resolve the energy issue as the focal point by inviting innovative student projects through an expo. He emphasized that the quality of life is ensured when there is synergy between research and development through collaborative approach between Nations. 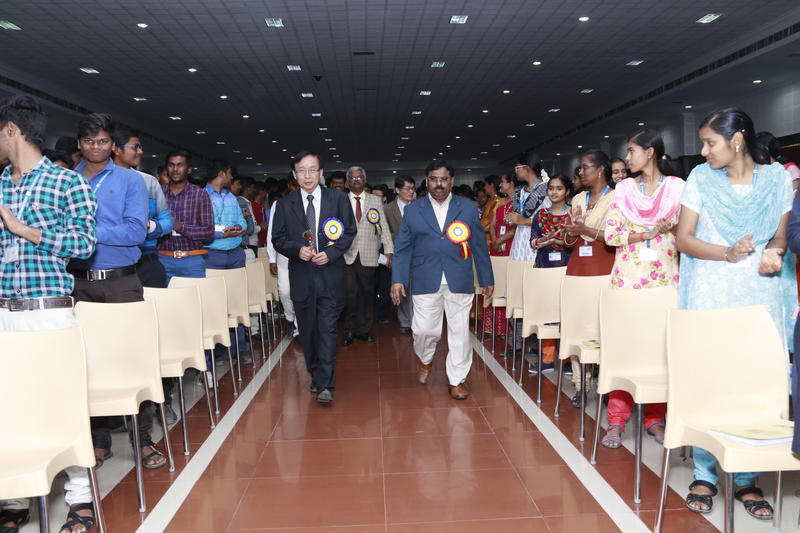 Institutions and Universities should forward this mission to greater heights.Professor Ching-Hsiang Cheng, from the Department of Aeronautics and Astronautics, National Cheng Kung University, Taiwan gave a special address focusing on the definition of success which means not giving up one’s passion; being brave to cross over boundary and being generous which brings joy and happiness. He advised that the youngsters should stay healthy and happy and they should be ready to obtain knowledge, skills and expertise through an effective utilization of all learning opportunities available on and off the campus. Earlier, the dignitaries lighted the kuthuvilakku led by Tmt.Mangai Natarajan, the Correspondent of Paavai Institutions. 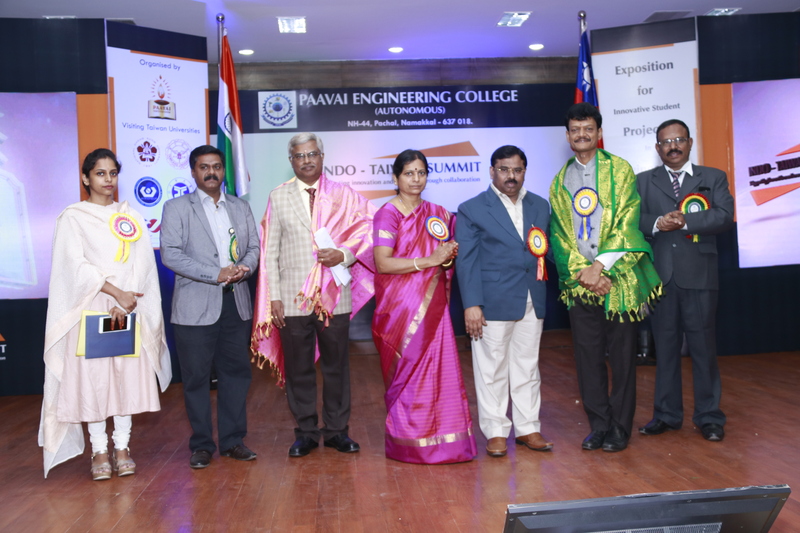 Mrs.Avanthi Rajavel, Director, Student Affairs welcomed the gathering and Dr.M.Prem kumar, Principal Paavai Engineering College (Autonomous), proposed the vote of thanks. A Souvenir was also released. 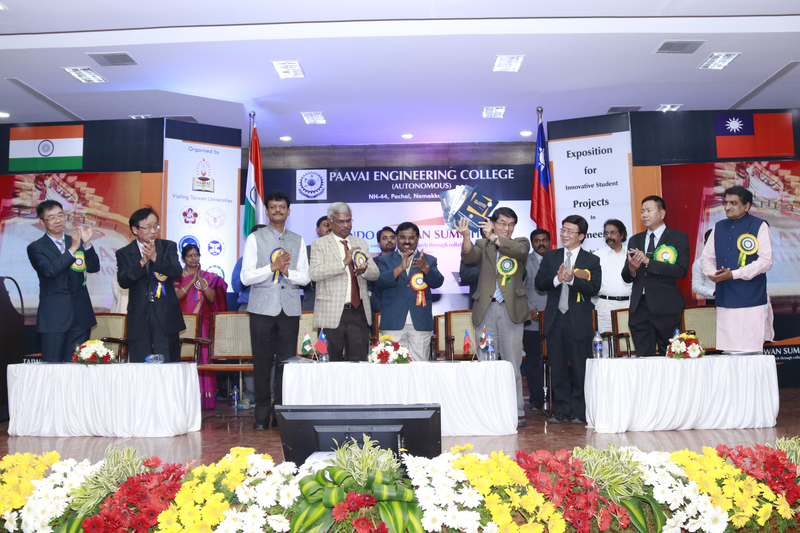 Members of Paavai Varam Educational Trust, Directors, Deans, Principals, HoDs and faculty members graced the occasion. 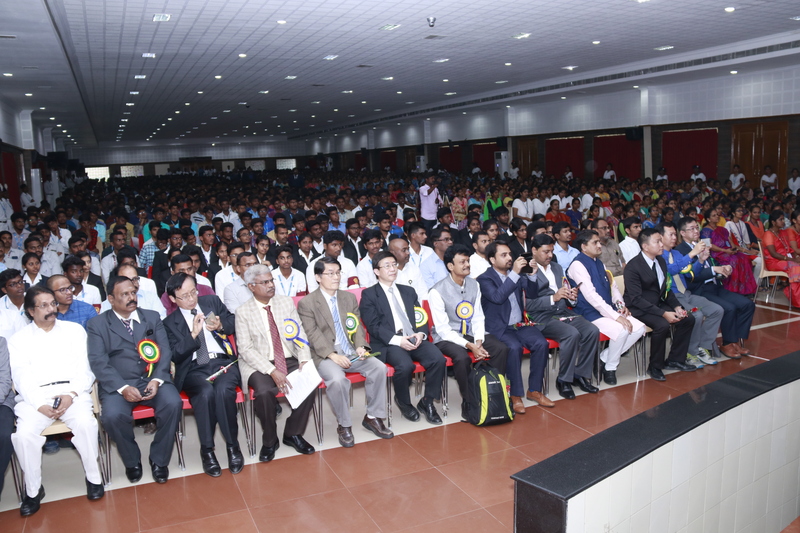 Around 2500 Students attended the inaugural session and 200 students in teams presented their innovative products in the Project Expo. The National Anthems of both the countries were played.